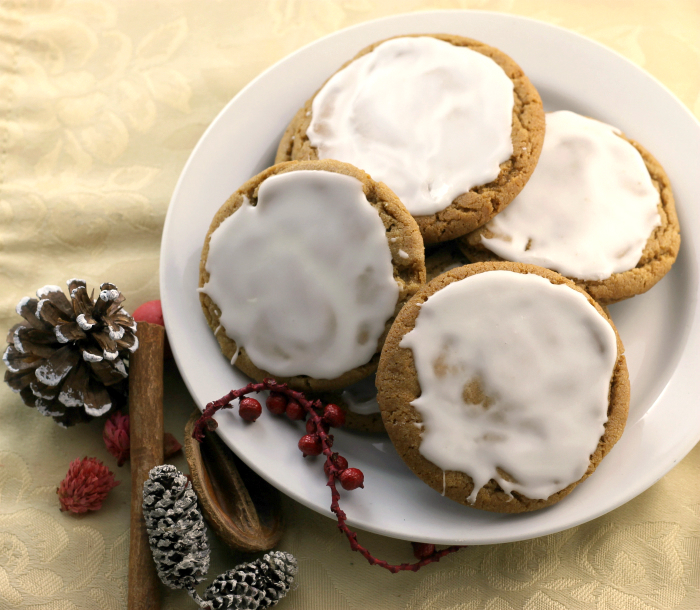 This is the last cookie recipe for the week… soft ginger snap cookies. The cookies are soft and full of flavor. I am almost over my cold and feeling better. Just in time for my vacation. Yeah, I am off all week, next week from work and I am looking forward to having some time off. I will be staying at home getting everything ready for Christmas. We have a big crowd coming on the big day and I have a ton of things to do. There will be a lot of cooking and cleaning, not much a vacation for rest, but I am looking forward just to be at home. This week I have shared some of my favorite cookies that I love to make at Christmas time. 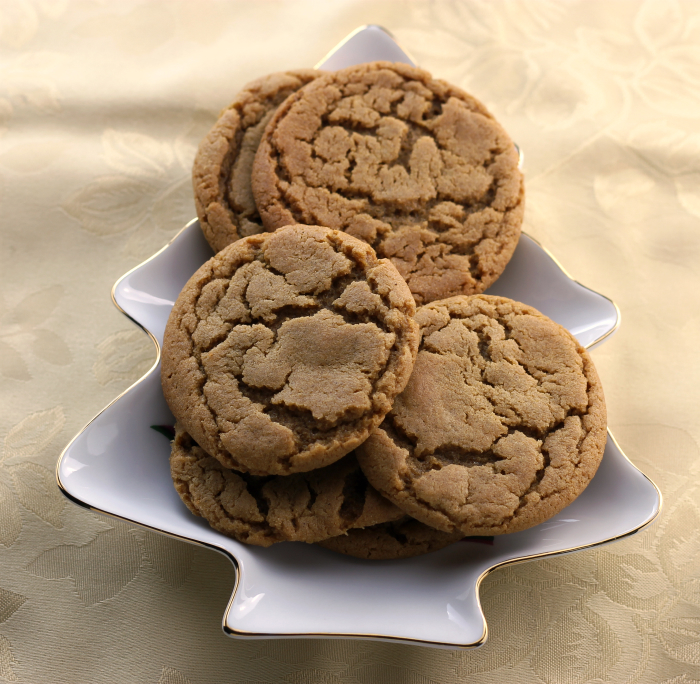 The recipe for these ginger snap cookies has been in my family for as long as I can remember. My mom made these at Christmas time when I was a kid. The only difference from when she made them to now that I make them was she made them with lard. She was one that said that if you wanted good ginger snap cookies for this recipe that you had to use lard. Well, I use vegetable shortening and I still think that they are pretty amazing. The cookies are a soft chewy cookie. The molasses give them a nice rich flavor. You can eat them as they are, but my family enjoys them with a powdered sugar icing. I hope that you enjoyed my recipes for the week. What is your favorite Christmas cookie that you bake? Heat oven to 350 degrees F. Prepare cookie sheet. Beat the shortening and the sugar together with an electric mixer. Add the egg and beat that into the mixture. Add the molasses and beat in until well blended. Add the dry ingredients and mix until well blended. Roll into small balls and place on prepared cookie sheet. Bake for 10 to 12 minutes until the cookies have cracks across the top. Cool slightly on the cookie sheet and remove and place on a cooling rack until completely cooled. Can be eaten as they are or dipped in granulated sugar before baking or frost with a powdered sugar icing. Just lovely and delicious cookies!!! I remember when lard was used for so many things, and the lard was kept in a jar on the floor. I would also skip the lard, as well. Glad your cold is feeling better. Oh, I want to eat these cookies now! I think it’s wise to stick with the vegetable shortening, but if I was eating one of my grandma’s cookies, I wouldn’t even ask what was in them. I like the idea of soft cookies…and feel it melting in my mouth…they are sure perfect for the season. Merry Christmas Dawn…to you and your loved ones! These are calling my name! 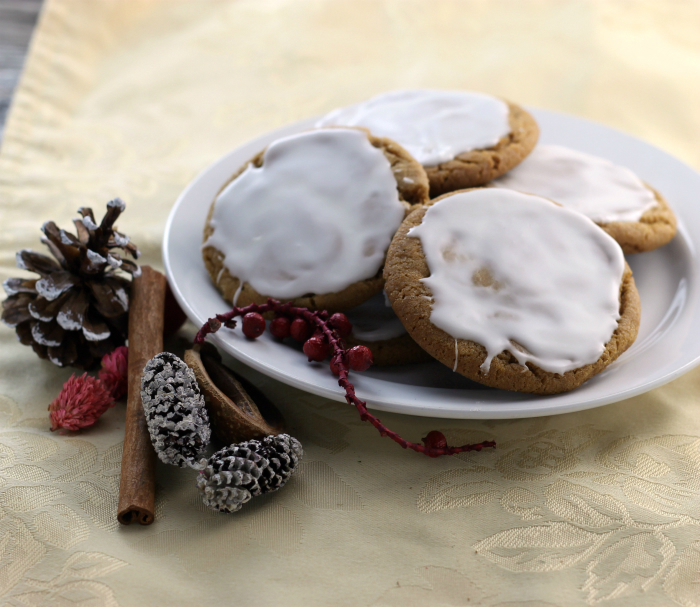 I love a soft gingersnap and the fact that you iced them makes me pretty happy! Hope you get to enjoy some of your time off! Have a wonderful and Merry Christmas!! 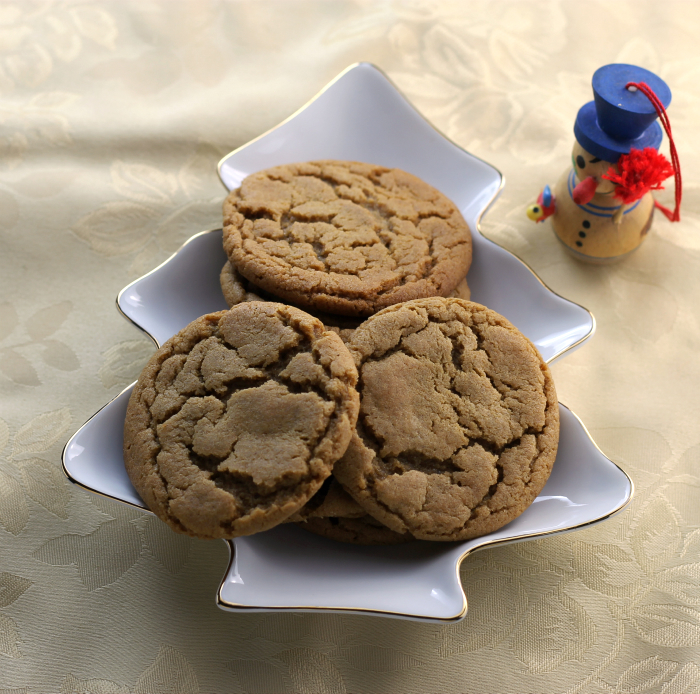 Chewy ginger cookies are at the top of my favorites list! Yours look perfect!!! Merry Christmas, Dawn!